An objective of any marketing strategy is positioning your organization to stand out against your competition. The more you are able to do this, the more likely you will be able to find new customers, as well as keep you current ones. As we get ready to enter 2019 finding ways to stand out is going to become more of an imperative as the competition for your audience’s attention get more difficult. Whetheit’s the news, any number of entertainment options, other marketers, or being “unplugged” from it all; people are being pulled in many different directions at once. Finding success in marketing means being able to rise above all that noise. 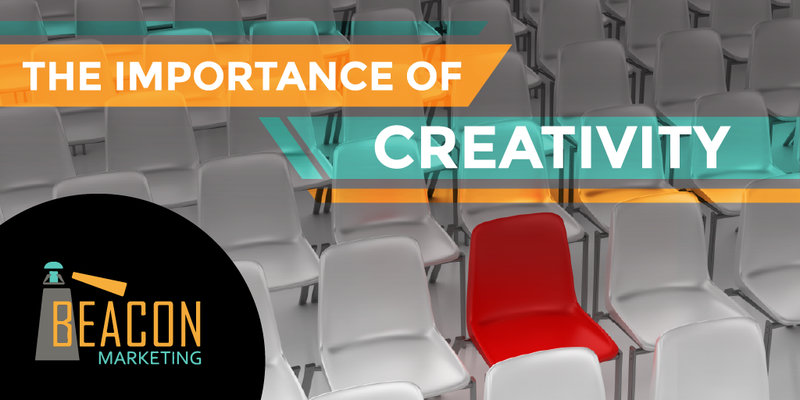 Because of this, you will have tap into the creative part of your marketing capabilities and find unique ways to earn your audience’s attention to create awareness of your brand and the unique value you bring to the table. When we say “creative”, we mean thinking outside the box to find new ways to engage your audience. Many marketers think communication only flows one way – marketer to consumer. However to increase engagement, you must find ways to encourage a dialogue which flows both ways. Focus on the needs of your audience – Many businesses fall into the trap of focusing on what they like. This could range from content to marketing platform. The fact is, you are not trying to sell yourself on the idea of your business. Your job is to attract the attention of your target audience. To do this put yourself in their shoes. Understand their pain points, what marketing platforms they frequent, and how they like their content delivered. Doing this shoes you customers how much you value them and helps to make your business stand out. Allow for customization or personalization – This is more of a sales strategy, but can also be implemented as part of your marketing messaging. When you allow your customers to personalize your product/service you create a more in-depth experience, which will increase the chance of your customers becoming advocates for your organization. Engage your audience directly in a timely manner – If a potential customer has a question, do not make them wait for an answer. If you do they may very likely go with another option. Remember the goal is engagement. Make sure you are ready to engage when the opportunity arises. Find ways to create a sense of anticipation – Have you ever been really excited for a movie or book? Part of the fun is waiting for it to be released. Letting your imagination run wild, thinking if all the great possibilities, often times is better than the actual experience. If you can do this with your business, whether through a new product, service, or event you allow your audience to have that same sense of anticipation. Collaborate with strategic partners or even competitors – Think about your audience and the audience of a strategic partner. There is a lot of opportunity in there to get your content in front of people who could eventually be a customer. Also do not be afraid to look at a competitor. A competitor may have different competencies, therefore can assist in ways you can’t. This can open up a channel for referrals as you may have a different set of competencies as well. Being creative in how you get your content in front of your target audience is going to be the key factor for many businesses in 2019. This will require some out-of-the-box thinking and potentially getting out of your comfort zone. Schedule a FREE consultation with Beacon Marketing to find out how we can help your business rise above the noise and increase engagement amongst your target audience! In 2019, there is no shortage of competition when it comes to fighting for the attention of new customers. No matter how you do it, finding ways to stand out from all the noise and increase engagement with your target audience is a must.